This is an exciting experience as it is Chubby Botak Koala and Little Devil first visit to Vietnam. 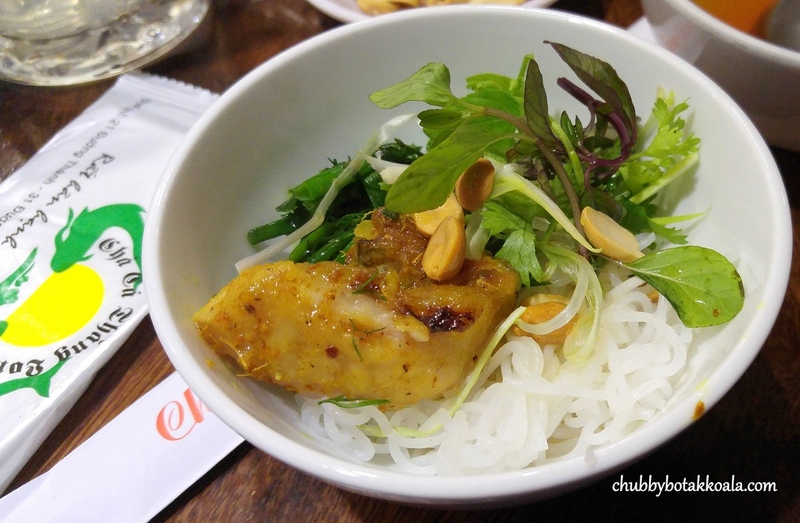 We picked Hanoi since it comes highly recommended from our Vietnamese friends. The city itself is more than 1,000 years old, so you can expect a vibrant and charming historical city. Our first trip to Hanoi, we decided to travel with Silk Air @ S$250 per person. For a full-service airlines, the price is pretty good. 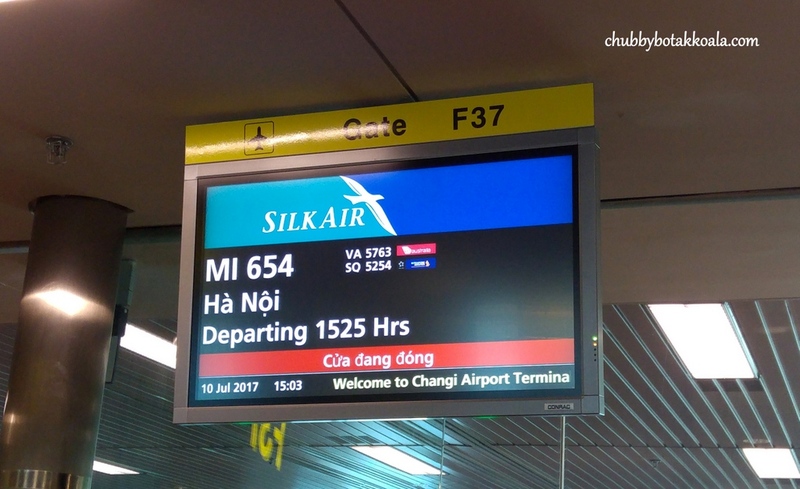 Silk Air flight 2 times per day to Hanoi. Flight time Singapore to Hanoi is about 3 hours and 25 minutes. Day 1. Arrival & Dinner. We reach Hanoi around 6pm. Comparing to the other ASEAN countries, Noi Bai International Airport is very clean and modern , and the process through immigration was also breeze. 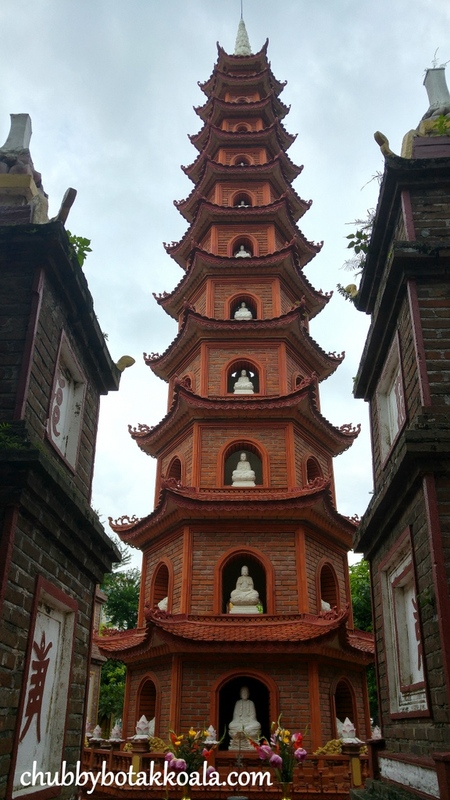 As we booked our package through travel agent in Hanoi, recommended by a friend, which include Airport pick up and drop off. You can purchase SIM Card in Noi Bai International Airport. We bought SIM VINA GCS for US$15.00. It has 8GB of data, 80 mins of local call, 80 local SMS, and 50 mins of IDD. The speed is very good and sufficient to cover the data for our stay in Hanoi and for 2 person to share. Please note that there is no special roaming package for Singapore SIM Card here. Old Quarters. 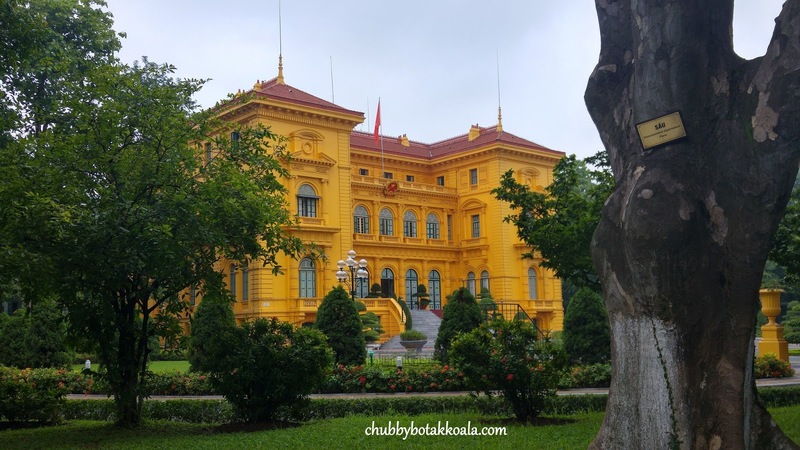 The heartbeat of the historical city of Hanoi. 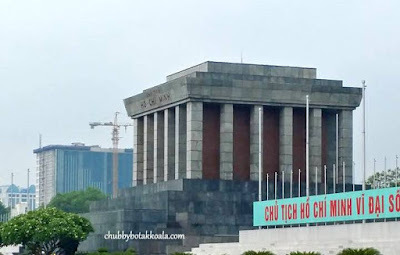 The area that is alive during day and night, without a doubt one of the best place to stay to have a good feel of the vibrant of Hanoi. Travel time from Noi Bai International Airport is about 30 minutes. 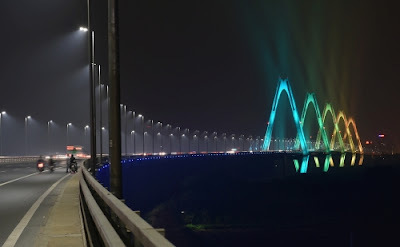 We were fortunate to arrive in the evening, as we passed by the beautifully lighted Nhat Tan Bridge. 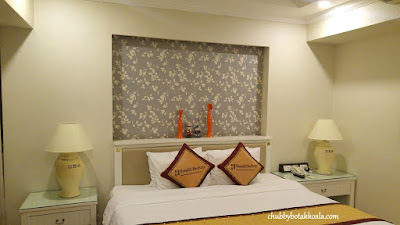 This hotel seems to get one of the highest ratings in the hotel website and located within the vicinity of old quarters. We secure it for US$71 per night for Executive Double Room, with a city view. Nice Hotel with friendly price and it also came with a jacuzzi. Dinner, Cha Ca Thang Long. 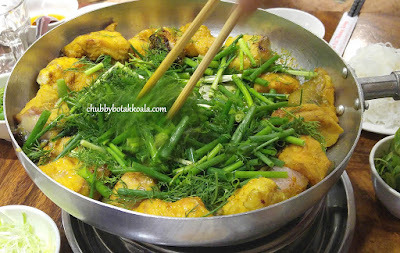 One of the signature dish in Hanoi and was named one of the dishes that you must eat before you die. Also known as the rite of passage if you ever visit Hanoi. It is a catfish dish, marinated with turmeric and cooked with spring onion and dill. 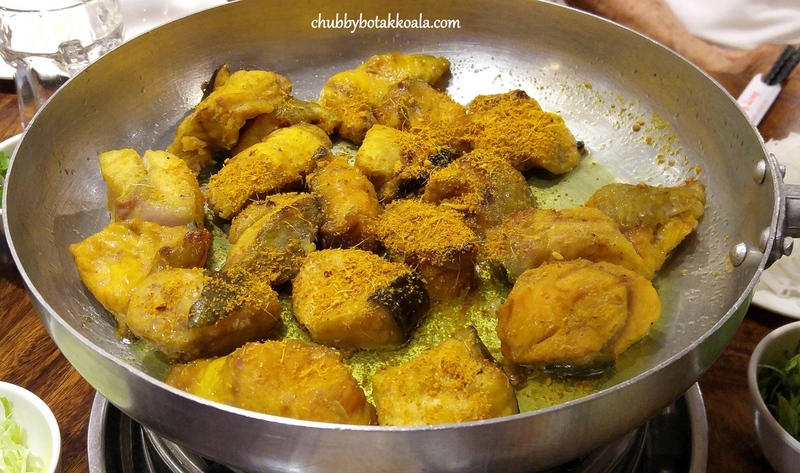 The meat is fatty and flaky, absent of traces of mud due to the turmeric marination. This dish is to be eaten with rice noodle, fresh leaves of mint, basil and coriander, peanut and fish sauce. Absolutely delicious and a must try dish in Hanoi. 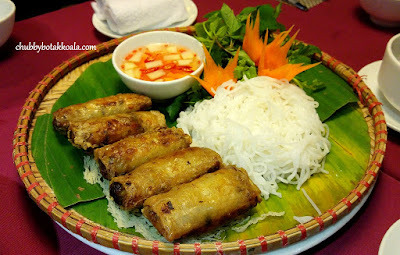 There are other restaurants that sell this dish, but this one seems to be one of the best in Hanoi plus it is the most reasonably priced. Supper, Lutulata Desserts and Drinks. A place to enjoy traditional Hanoi desserts. It is tasty, refreshing and light on the palate. We realised that desserts in Indo China and South East Asia have a lot of similarities. 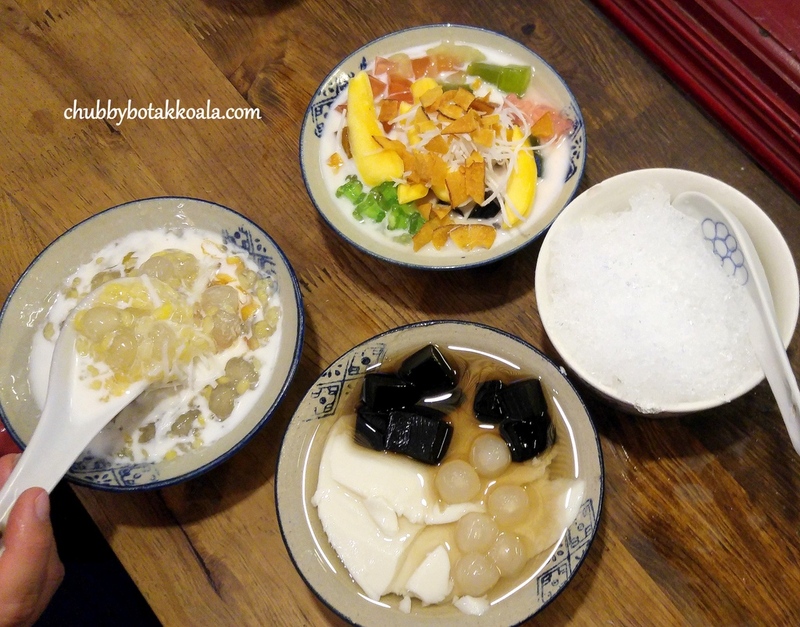 We have beancurd, mung bean (Che Dau Xanh) and jelly with jackfruits (Che Thai) desserts. The desserts here will use fresh fruits that are in season. Well the day started with a bit of surprise. 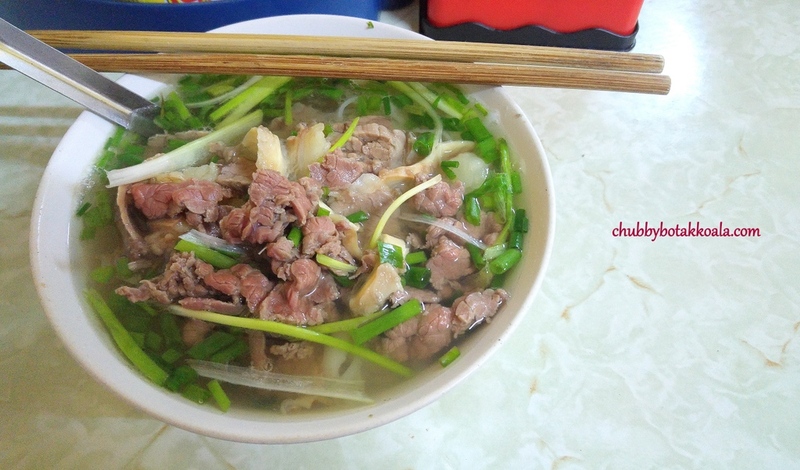 Since we have some time before the tour come and pick us up, we decide to go for Vietnamese National Dish, Pho. 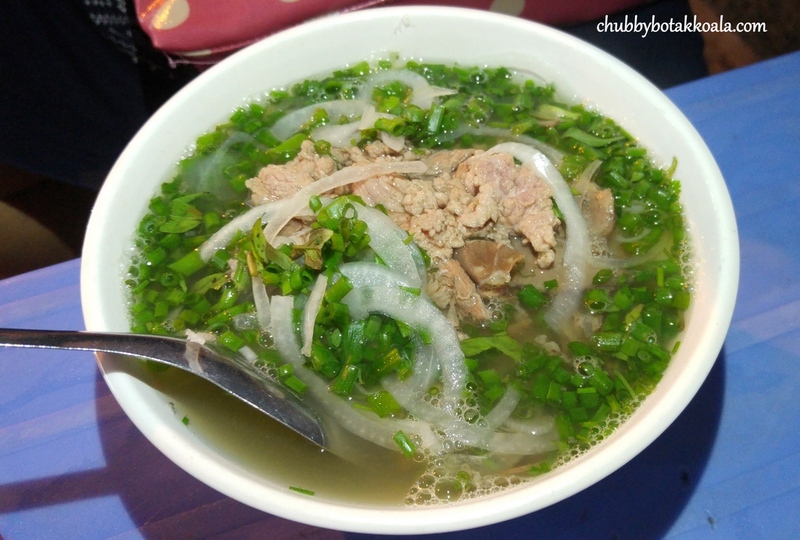 Breakfast, Pho Gia Truyen Ha Noi. A delicious Beef Pho, filled with generous ingredients to go with the silky smooth rice noodle. The clear broth is robust, filled with beef essence. 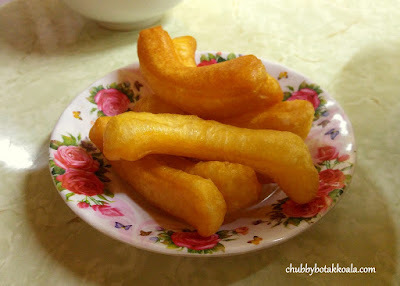 In Hanoi, they ate their pho with you tiao (fried dough). Price 35,000VD per bowl. 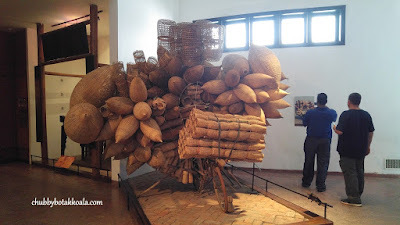 Statue at the tomb show at the Ethnology Museum. # Visit Buddhist Tran Quoc Pagoda at West lake (One of the oldest pagodas in Vietnam). Be warned, wear the most comfortable pair of shoes you have, as you will be walking close to 20,000 steps for this tour. Our tour started from 8AM to 5PM. Coffee Break before the puppet show: Helio. 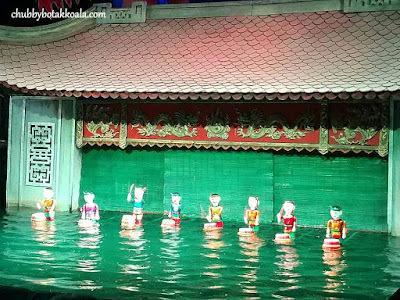 Located in the same building as the Water Puppet Show, it is a good place to get your caffeine fix before the show. 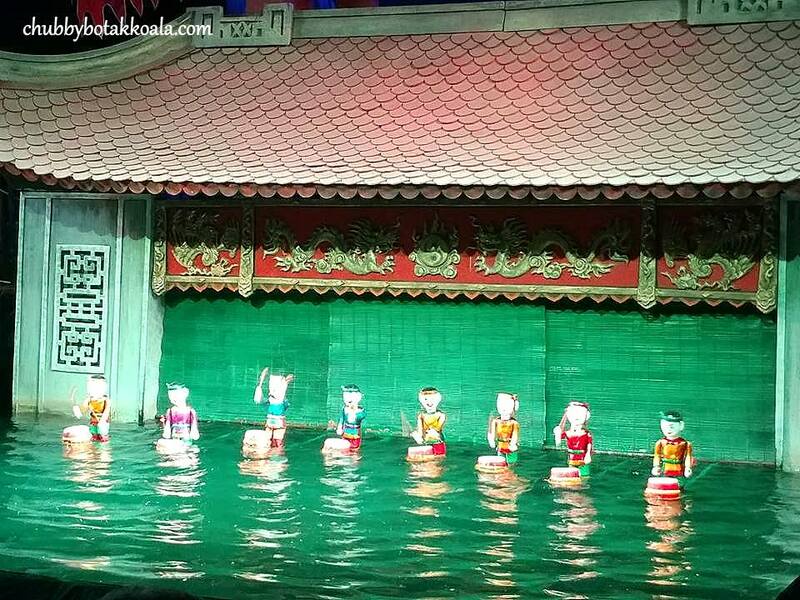 I tried the Vietnamese Iced Coffee, it was solid and sure perk me up while watching the Water Puppet Show. Located within a walking distance of our hotel, Gia Ngu Restaurant served traditional Vietnamese cuisine, but in refined version. 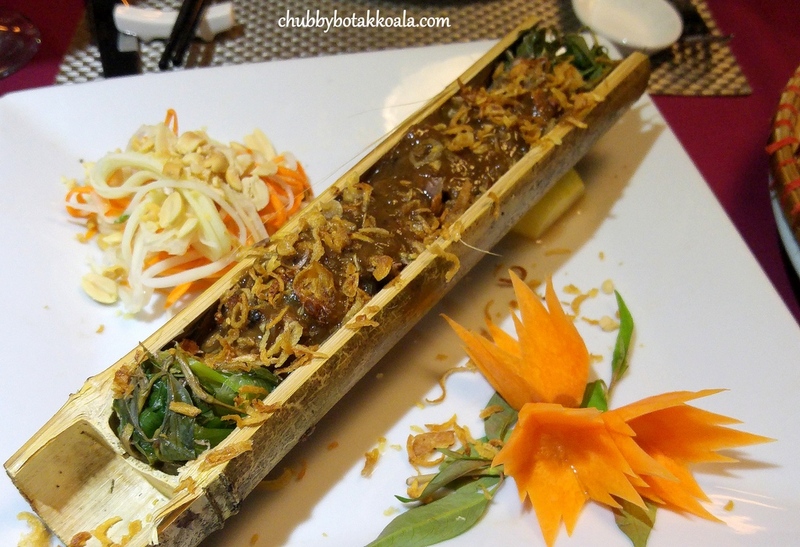 Their signature dishes of Bun Cha (BBQ pork slices), Curry Chicken in Baby Coconut and Grilled Bamboo Beef are just awesome. The service here is excellent, friendly staff with impeccable service. 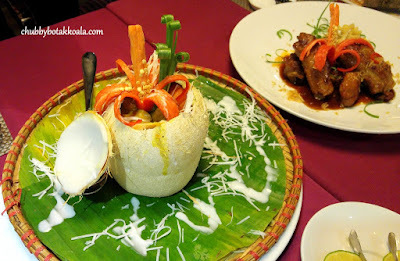 We spend about US$25 per person and it is definitely one of the most memorable meal in Hanoi. 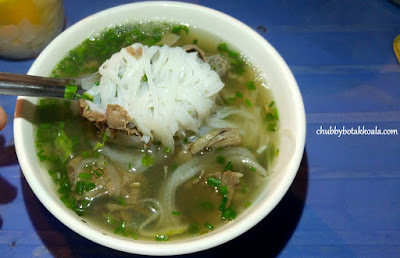 Supper: Pho Vui. 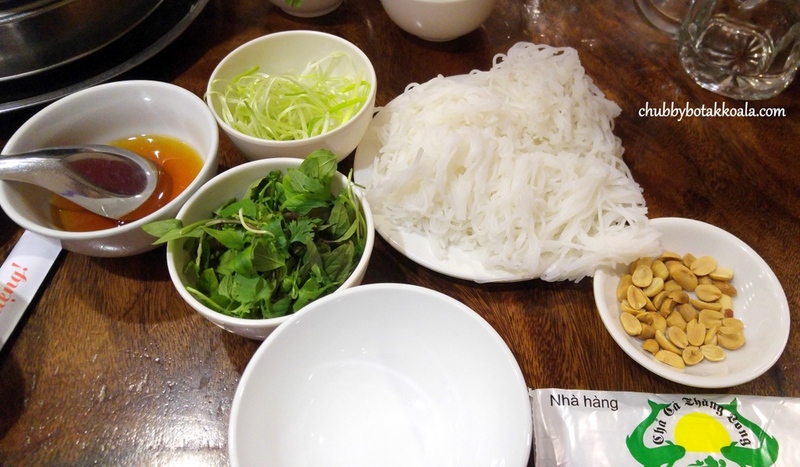 Another opportunity to savour the Pho in Hanoi. This restaurant is located in the Coffee street of the old quarters. We are seated at the pavement, with typical Vietnamese short tables and chairs. The soup is clean and robust, but it just missing the Omph. It is also the most expensive Pho that we tried so far, 50,000VD per bowl. I think you can skip this Pho place. 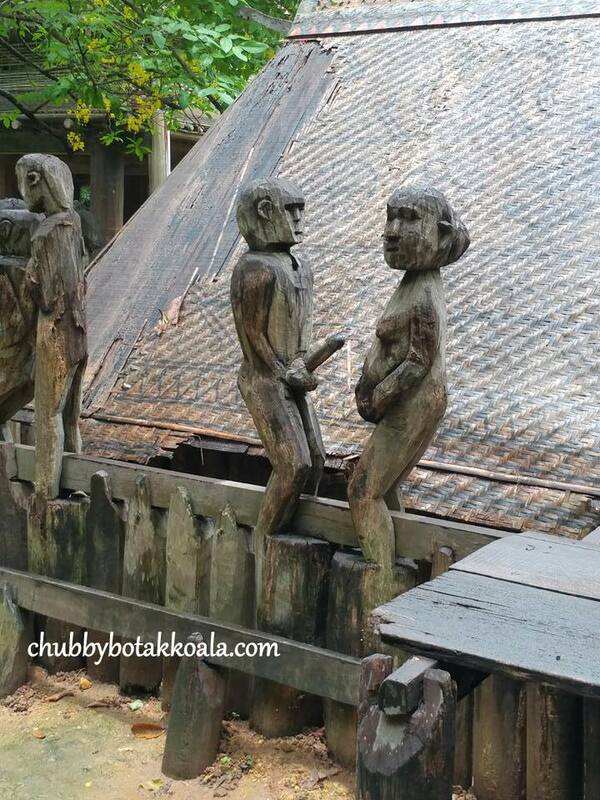 Part 2 of The Hanoi Adventure of Chubby Botak Koala and Little Devil. Check it out here.